Pierre Berini received his Ph.D. and M.Sc.A. degrees in Electrical Engineering from École Polytechnique de Montréal, and his B.E.Sc. and B.Sc. degrees in Electrical Engineering and Computer Science, respectively, from the University of Western Ontario. .
Dr. Berini is a Professor of Electrical Engineering at the University of Ottawa and is the Founder and Chief Technology Officer of Spectalis Corp., a venture capital backed company commercializing surface plasmon devices. He is a Canada Foundation for Innovation researcher and has received an URSI Young Scientist Award (1999), a Premier of Ontario Research Excellence Award (2000), the University of Ottawa Young Researcher of the Year Award (2001), and an NSERC E. W. R. Steacie Memorial Fellowship (2008). Dr. Berini is a senior member of the IEEE and a member of the OSA. He is an Associate (Topical) Editor of Optics Express. He is the author or co-author of 17 patents (issued and pending), and of numerous publications in scientific journals and conference proceedings. His broad research interests include optics and photonics, electromagnetics, numerical methods, and the microfabrication of integrated optical structures. 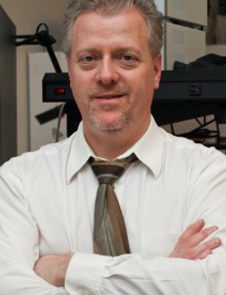 His research is currently focused on the area of plasmonics and related device applications including biosensors.